Valentine Day has come an gone and today is time for another Inspirational Monday! This one speaks for itself, don’t you think? You should always chose who you give your time, your love, your friendship to. 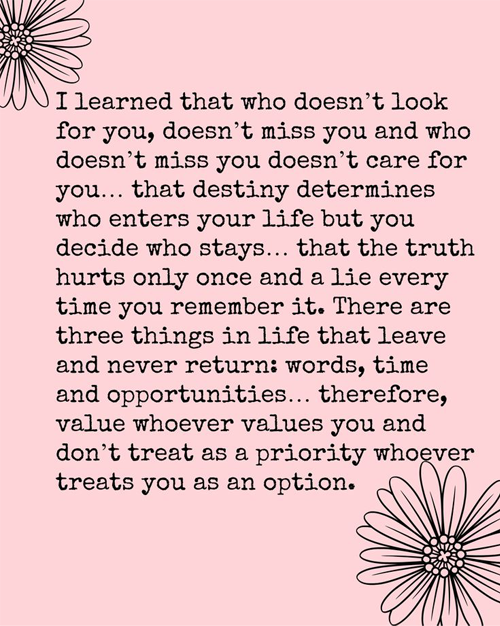 Because time, love, friendship are valuable things and should be kept for those who really deserve it. Inspirational Monday: Teach them how to smile!